It's a twist on the outdoor movie night, with activities aplenty and Sunday breakfast. Camp out, in Malibu, while watching "Dirty Dancing" this July 15. A movie is never just a movie for the film fan, for the act of observing a story told onscreen typically arrives with a host of auxiliary traditions in tow. For some movie mavens this means a bucket of popcorn and some Red Vines. Other fans always need to see the trailers before the movie begins. And for many of us? Flick fun is wrapped up in a whole overnight, sleepover vibe, even if the sleepover is at our own house, with a spouse. Street Food Cinema is embracing the notion that many of us like to view a blockbuster while sitting in a sleeping bag or wrapped up in blankets. So something new is just ahead for the outdoor film series in the summer of 2017, and it is this: Two overnight movie-viewing experiences at King Gillette Ranch in Malibu. First up on the special camp-out film nights is "Dirty Dancing" on Saturday, July 15, followed by "The Lost Boys" on Saturday, Sept. 30. Both films hail from 1987, and while "Dirty Dancing" is an ideal height-of-summer watch, the vampiric "The Lost Boys" is the perfect way to say hello to October. What will happen beyond the screenings at both Street Food Cinema overnights? Like all classic slumber parties, other high jinks will be afoot. 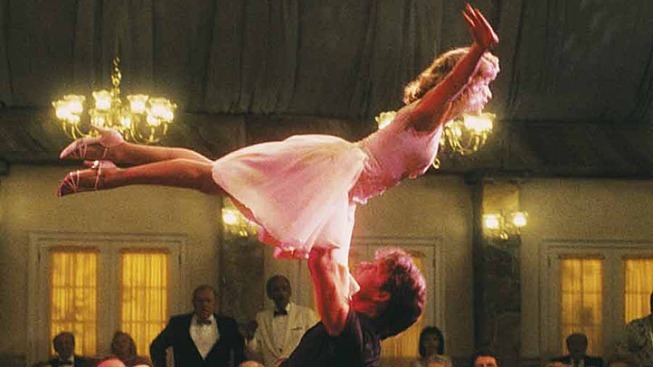 The "Dirty Dancing" night will include Johnny Castle's dance lessons, an outdoor lounge, a midnight hike, a bonfire, and a bonfire's BFF: s'mores. "The Lost Boys" event includes Santa Clara carnival games, Vampire Training, and, yep, a midnight hike, s'mores, and other fang-tastic to-dos. A continental breakfast buffet on Sunday morning is included in your ticket for either or both flicks. If you need to get that slumber party spirit on when you catch your '80s big-screen gems, there's now a way to do that, in Malibu, over two special nights. The outdoor movie series scene keeps expanding to incorporate fresh elements, and this latest iteration, camping, may be the quirkiest yet.